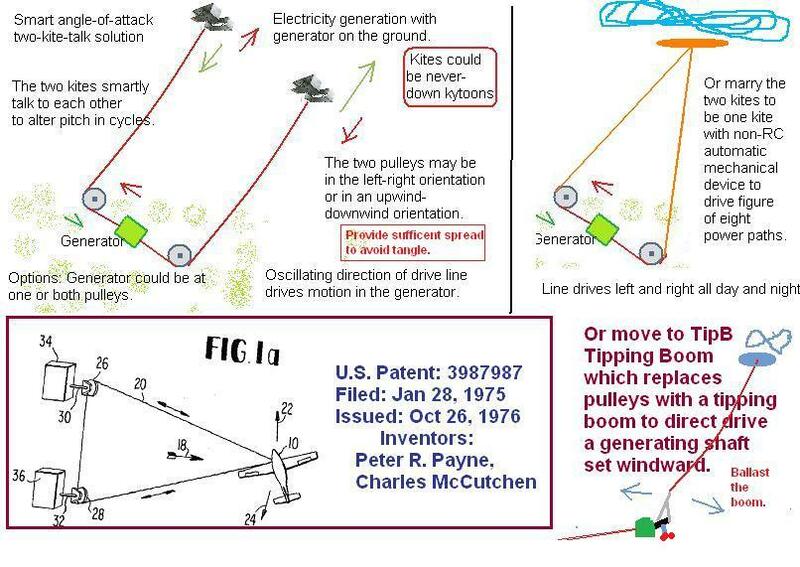 Oscillating Airfoil Wind Energy Absorber http://www.niac.usra.edu/files/studies/final_report/1010Woolsey.pdf What is going on here? occupiable "may be occupied by a human during operation" Habitable. OCS outer continental shelf AWE farms on the OCS. Chaos control studies: Ott, Grebogi and Yorke method. opaque Blocking the passage of radiant energy and especially light. Not able to be seen through; not transparent. Synonyms: nontransparent, cloudy, filmy, blurred, smeared, smeary, misty, hazy; dirty, muddy, muddied, grimy. 2. Difficult to understand. operating altitude for the wing set of an AWES may vary by time, site, rules, niche needs. status of operation, design, etc. oral microAWE, oralMicroAWE, Vision: In the mouth of humans or animals, have an anchored kite system (very small) that flies during inhaling and exhaling while sending some of the lines' mechanical energy to do effective works. Development of this is invited. What is "ordinary" various with time, place, and person. [[Mothra1 (aka, Mothra 1) has already shown us both modes- It flaps when stretched a bit and stops when slacked (slack is "easy", let tension actuate). When the wind comes off a quarter, the oscillations change to side-to-side. ~ds, 2012]] The whole arch of elements go left for a while and then right for a while and then repeat such cycles. The anchor pair are routed to drive pumps or generators; a closed loop to underground generator may be arranged; leave nearly 100% of the land for other uses. The arch wing elements are passively to trigger reverse directions. The wing elements may be barely LTA to sustain the kite arch in true rare calm; the wing elements may be smart to flag in case of storm. Alternative to calm flight: power-drive the load-path arch line to kite the wing elements left and then reverse to right. Alternative failure mode of one anchor: reel-in the elements to the other anchor point while wing elements kite some during the process. Alternative in case of the much more rare double-anchor release: ? Dislocation of mid-arch load line: pull in each segment to their respective anchors. Otto Lilienthal Father of hang gliding sport and hang glider business. Brother of Gustav Lilienthal. Otto wing, Otto wings, Otto-wings, www.OttoWings.com General term for "hang glider" in honor of the father of modern modern hang gliding. Less used: ottowings. otter board, (sometimes found in compound as otterboard). Otterboard is a type of paravane or water kite used in pairs to spread the mouth of fishing nets or torpedo guards or the like. out The wing and wire were out a certain distance. "3450 ft of wire were out" Wire was let out ..
OutLeader (tm) kite OutLeader (tm) See in-depth article in Catalyst by Dave Culp.